PHILADELPHIA (WPVI) -- Gov. Tom Wolf's office says Pennsylvania driver's licenses that are compliant with tougher federal anti-terrorism standards should be available in early 2019. Wolf signed legislation Friday designed to bring Pennsylvania into compliance with the 2005 Real ID law enacted following the Sept. 11 terror attacks. That law requires state driver's licenses and ID cards to have security enhancements and to be issued to people who prove they are legally in the United States. Without one, Pennsylvanians would need another compliant ID to board commercial airliners or enter certain federal facilities. Those standards take effect before 2019, but Wolf's administration says it's hoping for a waiver until Pennsylvania's Real ID licenses are available. 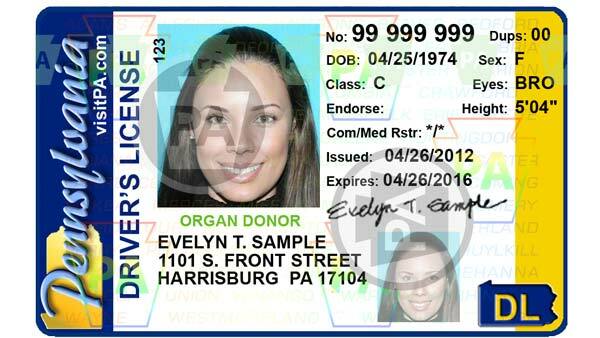 Pennsylvania's new law doesn't require residents to obtain a driver's license or ID that meets Real ID standards.